Now, here’s a new video of “Speeding the Journey from Content to Cash,” my talk on B2B demand generation at Content Marketing World. 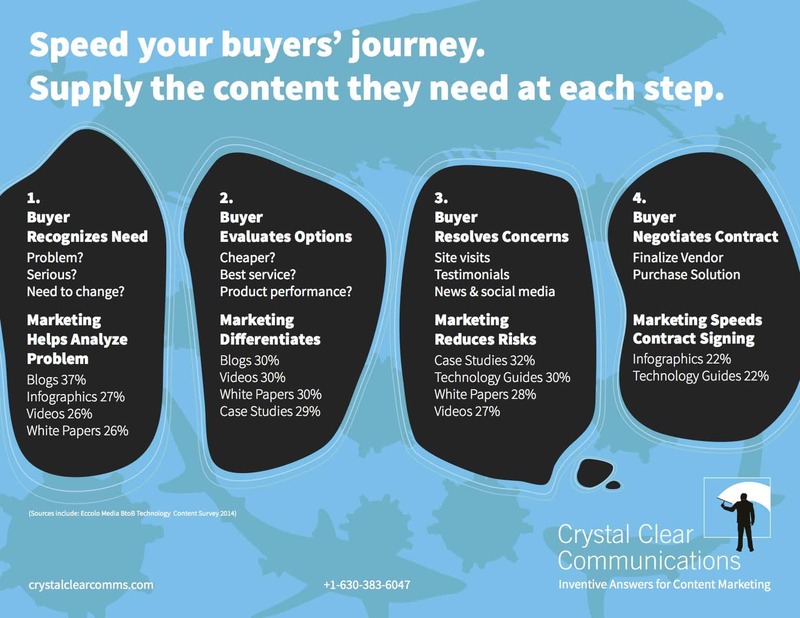 The infographic below, Speed your buyers’ journey, which spells out what buyers are trying to do during the buying journey, what questions they ask and what answers marketers need to supply. 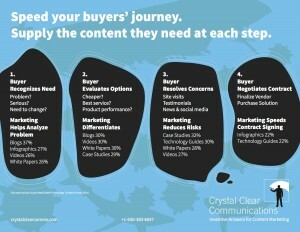 What questions do you have about how to speed buyers’ journey from content to cash? Send me a question now and I’ll address it in a future blog.